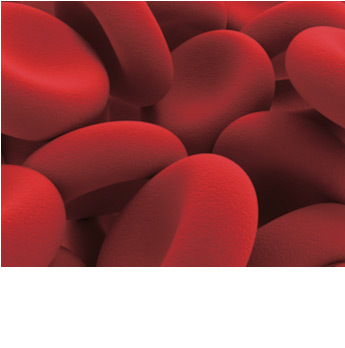 In this experiment, students will learn the techniques used to determine the blood type and Rh. The test procedure used in this kit is the same as used with real blood, with the only difference that this kit contains synthetic blood and synthetic antiserum eliminating any risk associated with exposure to real blood or blood products. Each individual student has to indicate the blood group and Rh from 4 samples problems. 50 slides, 150 sticks, 12 synthetic antiserum samples, and 12 micropipettes (1.2 ml). All you need are included on the kit. During mitosis, each of our chromosomes is duplicated. The chromosomes are then separated during mitosis, moving to opposite ends of the cell before cell division. 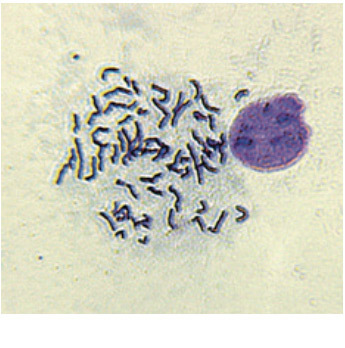 In this experiment, cells have been arrested during metaphase and fixed to slides, allowing students to stain and observe the condensed chromosomes. Students will develop an understanding of karyotyping and the association of chromosomal abnormalities with diseases. Pre-fixed chromosome spread slides, giemsa stain, mounting media, cover slips, transfer pipettes immersion troughs. A microscope with 400x magnification. Cell Culture is a vital technology used in life science research and in biotechnology laboratories. 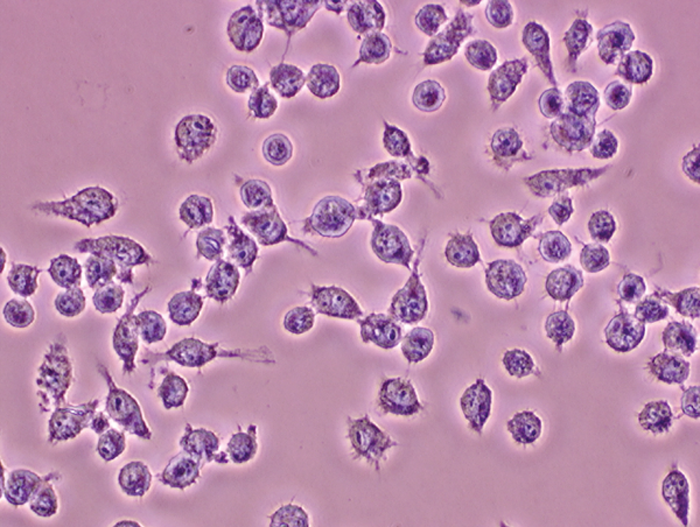 The study of basic cell biology, diseases and cancer, the development and testing of new therapeutics, and the production of new drugs relies on using the techniques introduced in this experiment. Students will learn how to grow eukaryotic cells in culture, basic cell staining and how to count cells. The techniques used in these experiments will provide the student with a skill set desired in both academic research and industry..
Growth media, flasks, Giemsa stain, Trypan blue dye, sterile T25 flasks, sterile culture dishes, sterile large pipettes, small pipettes, cell counting chambers, Sf9 insect cells. Microscope, Spray bottle with 70% ethanol or methanol, pipette controller. 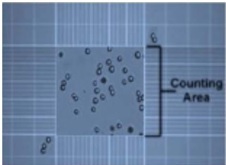 When normal cells are grown in culture they stop growing when they become overcrowded. This is called contact inhibition. Cancer cells in culture grow in an uncontrolled way because they have lost this property. This help tumors to form in the body. 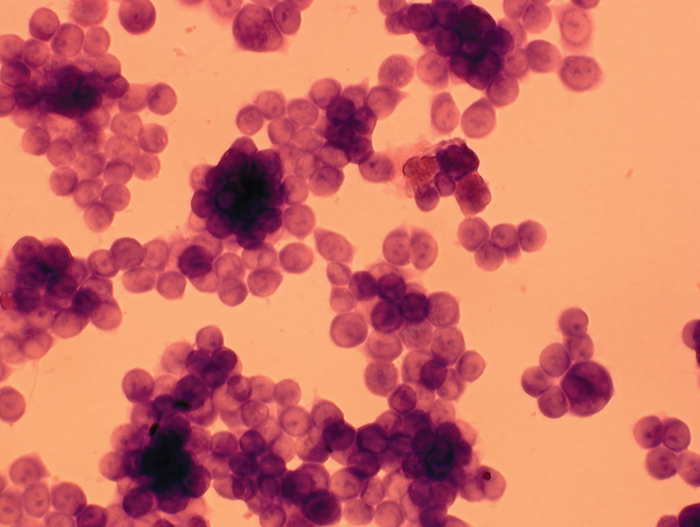 In addition, many different cell types can be present in a single tumor. This experiment allows students to see the differences between normal and cancer cells in both their growth and cell types. Multispot slides (2 cell types each), fixing agent, eosin and FlashBlue™ stain, mounting medium, cover slips, transfer pipets, and immersion troughs. Microscope with minimum 400x magnification. Your students will be amazed at the differences they observe between various mammalian cell types and how these cell function. cell are fixed on microscope slides and students stain the cells on the slide to view morphological characteristics of cell types. These cells are very safe for classroom use. Multispot slides (4 cell types each), eosin and FlashBlue™ stain, mounting medium, cover slips, transfer pipettes, and immersion troughs.